This historic Seattle property first opened its doors in 1909, and more than 100 years later, Hotel Sorrento still stands as an example of luxury in the city. 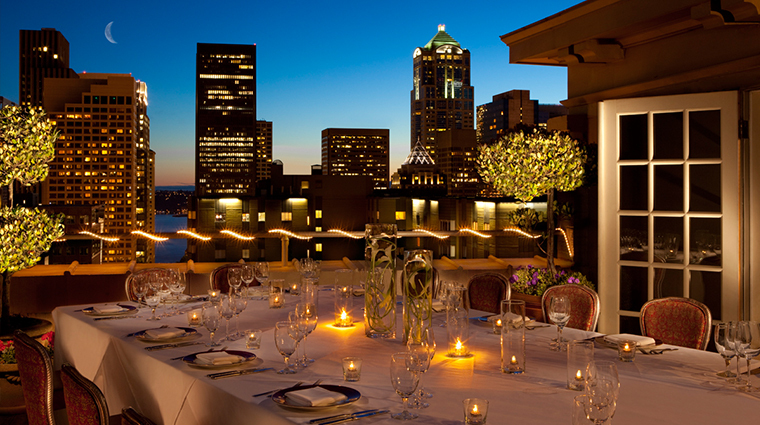 The Italian-Renaissance-style hotel in close proximity to some of Seattle’s best attractions. Original details in the guest rooms, such as wood molding and period furniture, give you a true sense of the hotel’s history, and the Italian Carrara marble found in the bathrooms oozes elegance. Sip a cocktail and listen to live jazz in the Fireside Room, or dine on baked oysters and confit pork shank at the Forbes Travel Guide recommended hotel’s signature restaurant, The Hunt Club. Hotel Sorrento has a sense of history that you won’t find at other luxury hotels in Seattle. The Italian Renaissance-style luxury hotel, commissioned by clothing retailer Samuel Rosenberg, included design elements inspired by the Italian city it was named after. Be sure to taste a specialty cocktail named after the hotel. The Sorrento 75 is a refreshing and lemony mix of Giosa Luisa Lemoncello from Sorrento, Italy, and Beefeater gin, Boulard Calvados, lemon juice and Domaine Ste. Michelle Brut from Washington. The Night School program was established in 2009 to highlight and honor the local arts community. Artists, writers, filmmakers and mixologists are invited to share their wealth of knowledge and talent with both hotel guests and the public during scheduled events at the Forbes Travel Guide recommended hotel. Hotel Sorrento has a design style inspired by Italian Renaissance architecture. The seven-story hotel with a red brick façade and terracotta details is composed of two perpendicular wings with a landscaped courtyard separating the Forbes Travel Guide recommended hotel from the street. Spend a memorable afternoon with family or friends sharing afternoon tea. This elegant service in the Fireside Room includes an assortment of teas, baked scones, pastries and sandwiches. 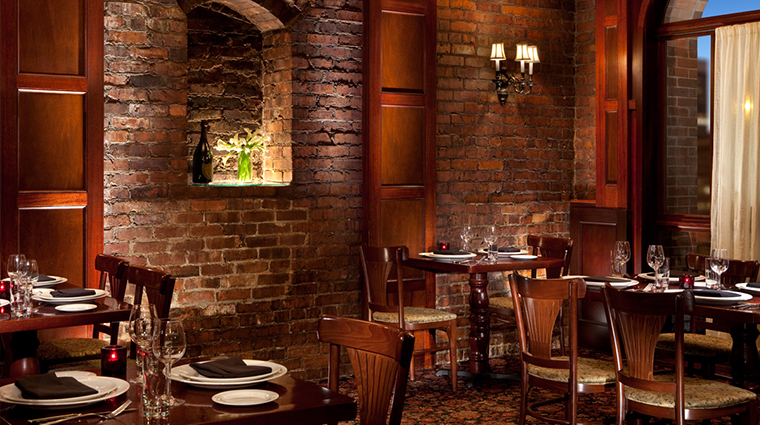 The Hunt Club’s elegant dining room with exposed brick walls and soft lighting has a cozy and romantic atmosphere. The Hunt Club serves classic cuisine for breakfast, lunch and dinner daily while brunch is served on Saturdays and Sundays. 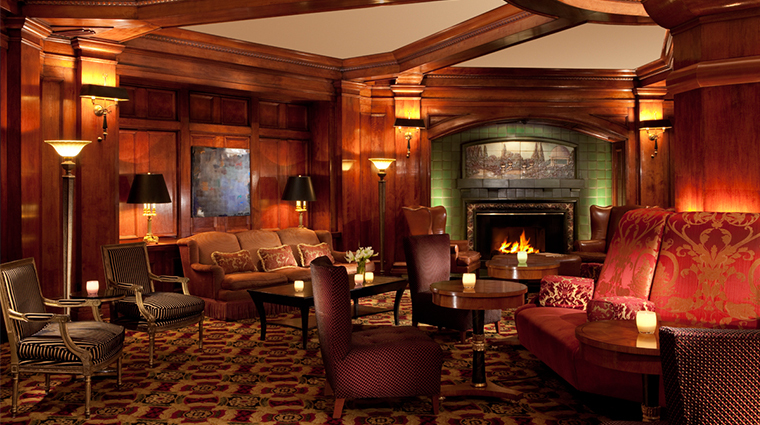 One of the most distinctive interior spaces is the Fireside Room, which was once the original hotel lobby. It includes a fireplace decorated with glazed green Rookwood tiles. Above the hearth is an exquisite mosaic illustrating an Italian landscape. No two guest rooms are alike at the Sorrento; each lavishly styled room at the Forbes Traval Guide Recommended hotel has its own unique design. However, all of the 34 deluxe guest rooms and 42 luxury suites with views of the Seattle or the First Hill area include a mix of modern amenities combined with historic European architectural and interior design details. Carved wood moldings, period-inspired furnishings, rich fabrics and vintage accents add a sense of luxury to each room. Many of the rooms, which are painted soft yellow, have a separate sleeping room from the sitting area. 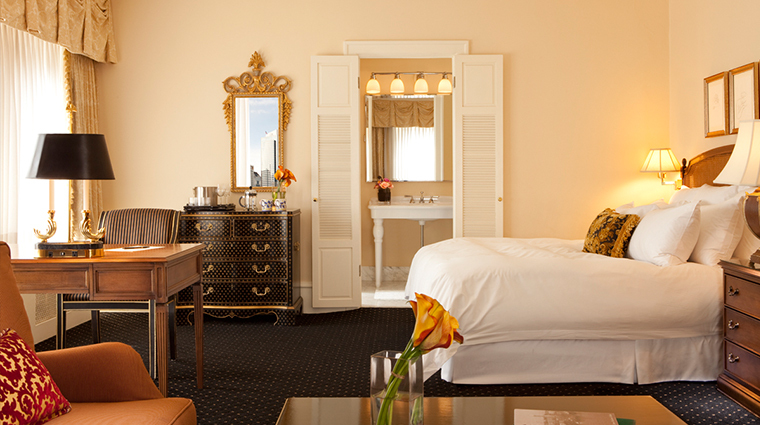 Each guest room at the Seattle hotel features a unique blend of historic charm and modern day conveniences. Beautiful marble bathrooms, 400-thread-count Egyptian cotton bedding, complimentary high-speed wireless Internet access, 42-inch Panasonic flat-screen televisions with Direct TV are available in each guest room. You can relax in the hotel by knowing that a variety of pillows with varying firmness levels are available by informing the hotel staff of your wishes. In the bath, you’ll find Judith Jackson bath products, a cotton terry cloth robe and blow dryer. 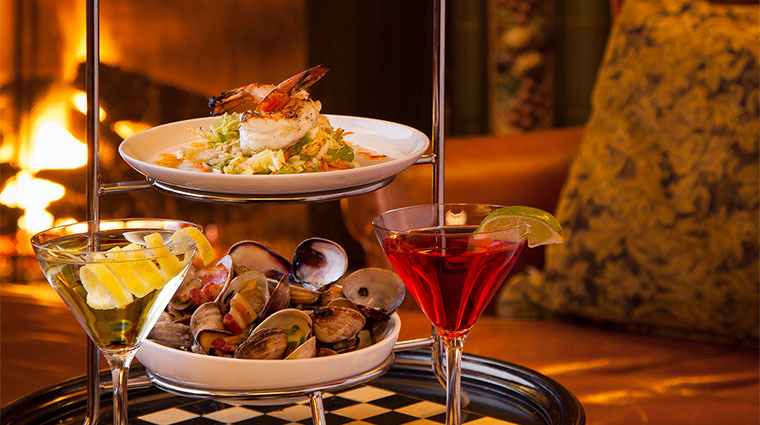 The signature restaurant at the luxury hotel is Hunt Club’s formal dining room, which serves classic Pacific Northwest style dishes, as well as classic American cuisine. Whether you’re there or in the Hunt Club Bar or Fireside Room, you’ll find a thoughtful list of Pacific Northwest and California wines to complement the menu. The kitchen turns macaroni and cheese into a grilled flatbread appetizer with caramelized onions and walnuts also complement this unique dish. The Hunt’s burger is made from natural grass-fed beef, this is one of the most popular picks at Hotel Sorrento. This juicy, hot burger is served with shaved iceberg lettuce, fresh tomatoes, onions, and topped it off with Beecher’s artisan cheese or bacon.